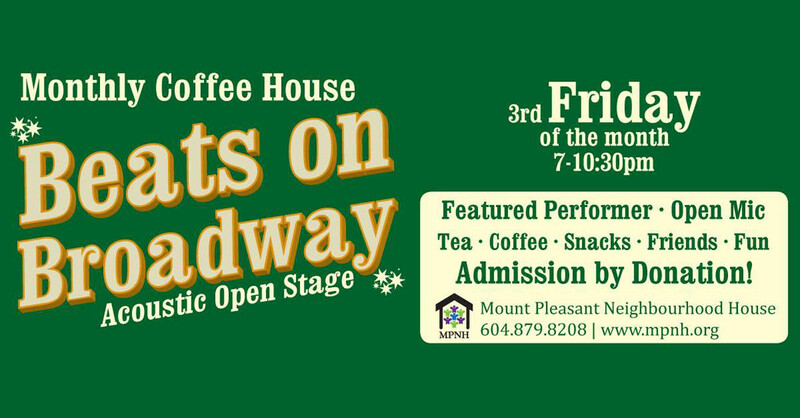 This evening begins with a community potluck supper from 6-7 p.m., followed by a coffee house with feature performers and an acoustic open mic. All are welcome! Learn more about Beats on Broadway on Facebook.